Welcome to the first posting in my project, A Year of Natural Health & Beauty: 52 Ideas to Enhance Your Mind, Body, and Spirit! During 2012, I’ll be posting one easy, frugal, and all-natural tip each week to help guide you along a path of beauty and health. If nothing else, simply adding lemon to your water makes it more flavorful! But the benefits of lemon water are so bountiful that this is indisputably my number one health and beauty tip. It helps to alkalize the body, balancing the body’s pH level and reducing the acidifying effects of meat, alcohol, dairy, and stress. Its antibacterial properties help to control unhealthy bacteria in the body. Balancing bacteria, particularly in the gut, can help keep you healthy all year long. When taken with warm water, it aids digestion while calming heartburn, bloating, and belching. It cleans your liver, your body’s most important internal waste-removal organ, and helps to reduce constipation. It decreases phlegm and mucus and loosens congestion. It helps to cleanse and purify the blood. It works as a diuretic, helping the body to flush excess fluid. This can be useful for women who are premenstrual and feeling bloated. It also helps the body to remove waste and keeps the kidneys and urinary systems clean. It contains large amounts of Vitamin C and trace amounts of Vitamin A, magnesium, and potassium. For a fantastic sports drink to replace your lost electrolytes, add a sprinkle of sea salt and a smidgen of agave nectar! For those who dislike drinking plain water, adding flavor makes it more appealing. Hydrate up! Caution: drinking too much lemon water can cause your tooth enamel to become fragile. After drinking it, swish your mouth with plain water. Don’t brush your teeth for 30 minutes after drinking lemon water. Do you drink lemon water regularly? If so, what benefits have you noticed? What are some of your basic, foundational, common-sense health and beauty actions? Thanks for the tip! Does the lemon water have to be water with a lemon squeezed into it, or can it be water with “natural lemon flavor”? Do you get the same benefits if the water is sparkling spring water? Thanks for stopping by! I don’t know what might be included in “natural lemon flavor” ~ all the benefits listed here are for actual, fresh-squeezed lemon from the fruit itself. You might want to read the ingredients for anything that has flavor added. A lot of that flavor can be made up of chemicals that aren’t going to do you much good. IMO, it’s always much better to stick with the real thing if you want flavor: lemon, orange, grape, what have you. Also, I’m not sure of the benefits of sparkling spring water itself! That’s a great question and I’ll look into it. If you find anything, please post back here! Happy New Year! Blog content is nice. 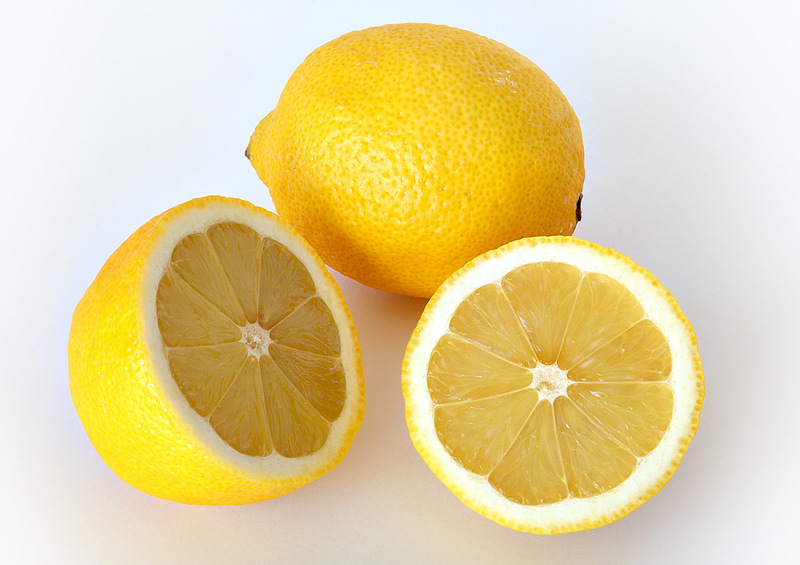 By reading the article I came to know the benefits of lemon.Thanks for sharing the information. It’s a personal choice, not a one-size-fits-all thing 🙂 You’ll have to play around with it and find what works best for you! I actually get thirstier and more constipated when drinking warm lemon water first thing in the morning. I even add olive oil to it. Not sure what that is about. My body is so weird. That happens to me too. I have a warm cup of lemon water every morning, drink lemon water throughout the day.. I’m still thirsty! Reading your post makes me thirsty Andrea. Nevertheless, thank for sharing the awesomeness of lemon water. Great post. Till then! Off to make lemon water now.